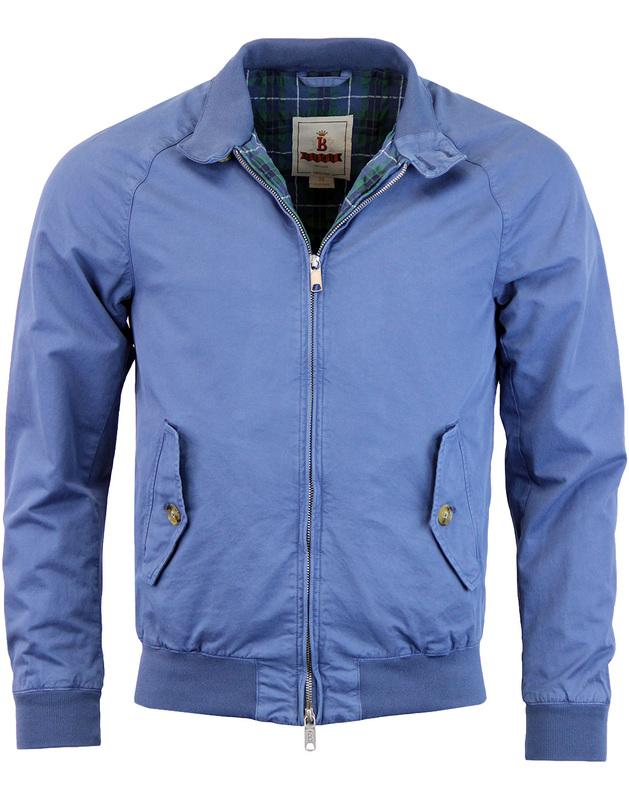 Baracuta G9 Garment dyed Harrington jacket. 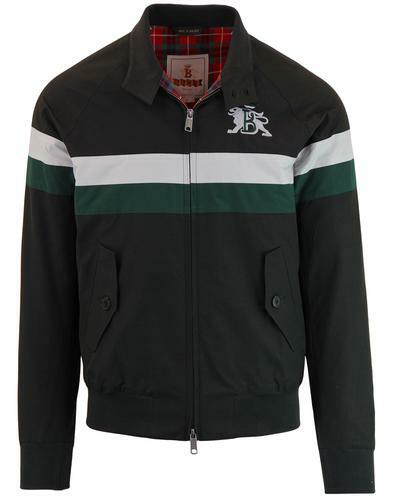 The Icon of 60s Menswear, the G9 harrington jacket from baracuta. Often imitated, never bettered. Enthralling Ivy League style and an unsurpassable Mod fashion icon - Think Steve McQueen, think Baracuta... everybody needs a G9 in their wardrobe! Soft Garment dyed construction sets this jacket aside from the usual G9 with a slight washed look to create a Vintage feel. 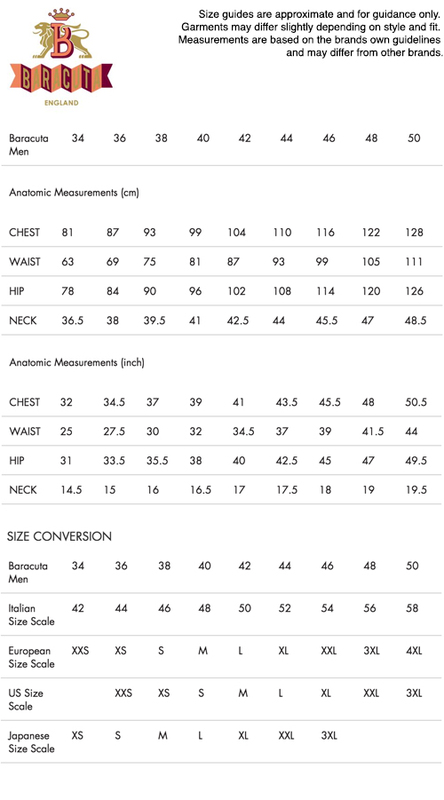 It also carries a a slimmer fit and a more subtle lining than the Fraser tartan found in its counterpart. However, some details of Classic G9 are too good the cast away, the two button funnel neck remains, as does the ribbed inner collar cuffs and hem. Pockets with button down flaps and the iconic Baracuta 5 Point 'umbrella' finish (as unique to only Baracuta Harringtons) with a sewn down finish to the reverse of the jacket or synonymous with this Baracuta style. 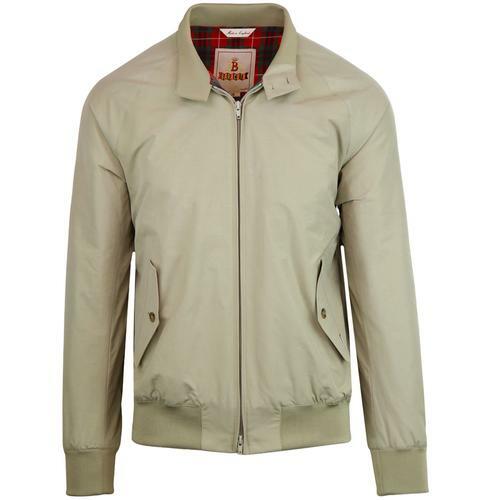 The Baracuta G9 Slim Fit Garment Dye Mens Harrington Jacket - Pure Mod style and primed for the contemporary Indie era. - Washed garment dyed cotton twill construction. 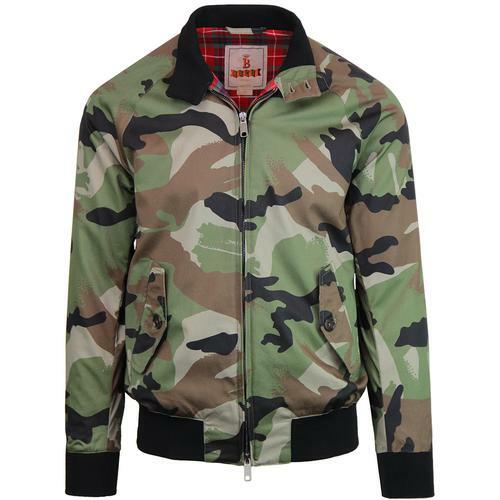 - SKU: BRCPS0215 3115 garment dyed G9 Harrington. Composition: Shell: 100% cotton. Lining 1: 80% cotton, 20% polyester. Lining 2: 51% cotton, 49% viscose.